Peach season is upon us and so is BBQ season. So it's no wonder that when you have your friends over for some food and fun, you want to serve them some refreshing peach inspired drinks. 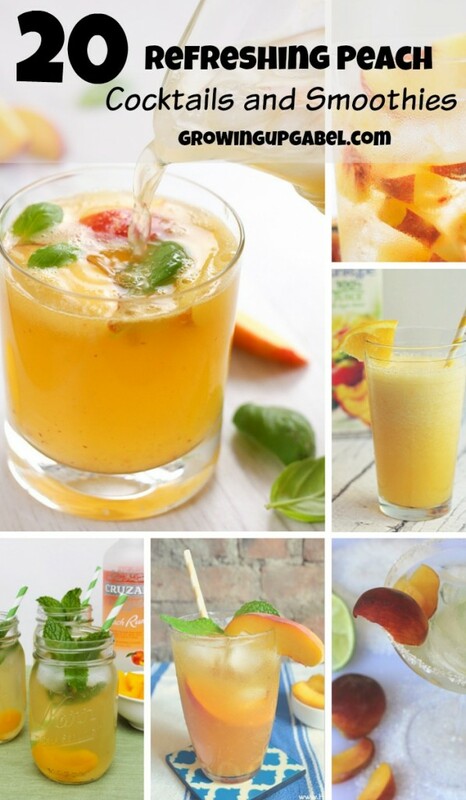 Here is a list of 20 refreshing summer drinks including peach cocktails and peach smoothie recipes! Here are the adult-only alcohol-included drinks. I am sure you can take out the alcohol for a kid-friendly version though. This Peach Rooibos Tea from The Haas Machine features caffeine free tea, vodka and peach juice – perfect for an evening meal when you don't want to get too caffeinated so close to bedtime. Of course, my Peach Beermosa that I introduced to you a little while ago would be perfect for a BBQ. Mojito's never go out of style and Lipgloss and Crayons's Peach Mojito looks absolutely delicious. Then there is always a Margarita (especially if you're going to serve a Mexican style meal), and this Peach Margarita from Ann's Entitled Life might be the perfect drink. Or you could go the Sangria route with my Moscato Peach Sangria. 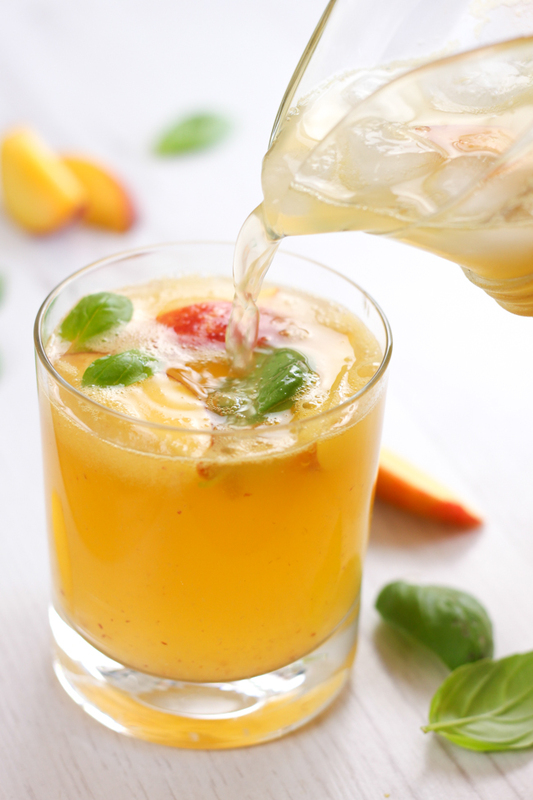 The Peach and Basil White Sangria from Amuse Your Bouche looks like the perfect cross between a Mojito and a Sangria. I love the idea of leaving some peach slices in the drink. I wonder if they would freeze well to serve as “ice cubes”? 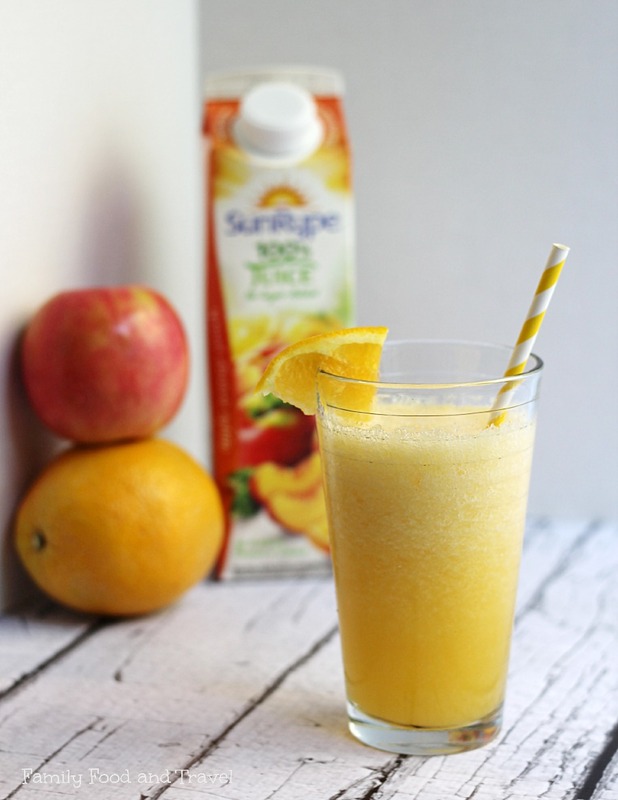 Here is a frozen sangria, which sounds like it could be fun – Peach & Honey Sangria Slushie from A Snappy Gourmet. This Peach Zinger Cocktail from DIY Inspired features Ginger Simple Syrup with whole black peppercorns, so that is where the “zing” comes from. The Peach Iced Tea Cocktail from Tammilee Tips only has three ingredients – iced tea, vodka and peaches – so this would be the simplest recipe yet. If you just want to serve a simple non-alcoholic iced tea, here are a few options. The Mint Peach Green Tea Cooler from Hello Little Home features green tea which should add a fresh and light flavor to this drink. 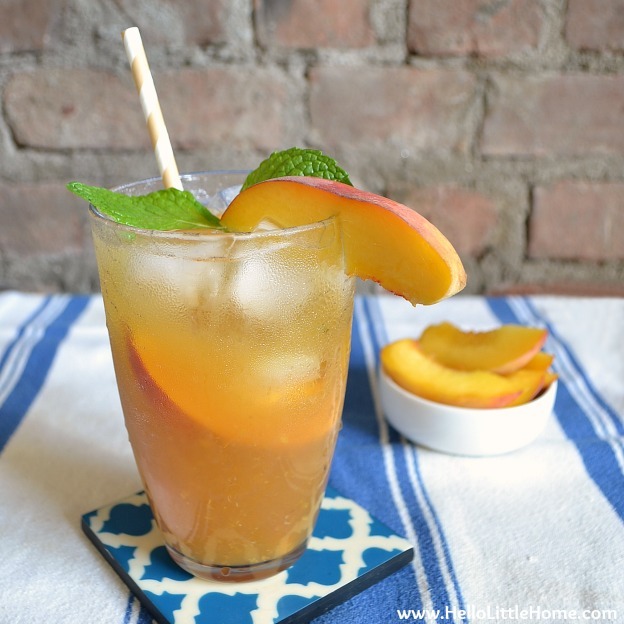 With this copycat Peach Tea from Mom Foodie, you need to cook the peaches a little bit. Ginger zest gives this drink a little something special – Ginger Peach Iced Tea from Delightful E Made. Here are some peach smoothies and slushies that you can serve with or without a little alcohol. 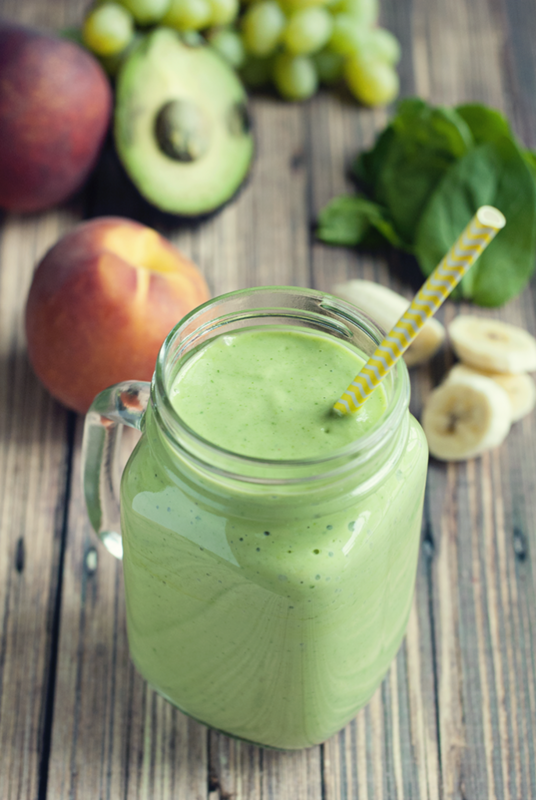 This Banana Peach Green Smoothie from A Simple Pantry is packed with good-for-you ingedients, so you can't go wrong there. A Snappy Gourmet's Peaches & Vanila Cream Smoothie has cream cheese and Greek yogurt – how decadent! Slushies are also great for a hot summertime BBQ. This Apple Orange Peach Slushie from Family Food and Travel doesn't even use fresh peaches, just peach juice. So you don't need to feel limited if you don't want to mess with any actual peaches. 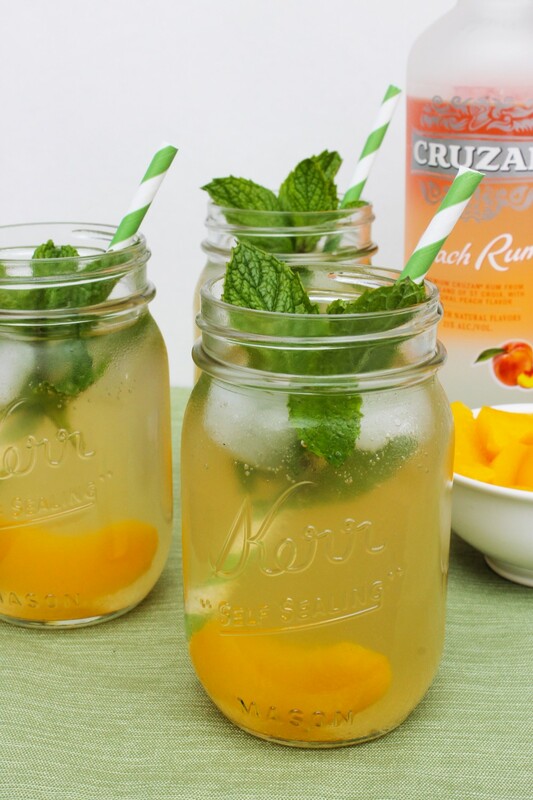 This Peach Lemonade from Mom Endeavors features a can of frozen lemonade – so easy! Another Frozen Peach Lemonade recipe is from Living on a Dime. So many great drink recipes to choose from. What will you serve at your BBQ this summer? LOVE this collection! Peaches are so fresh and summery – especially in cocktail form 😉 thanks for including my peach and basil white sangria! I can’t wait to try your sangria this summer!